MARK REEDER has carved out an impressive reputation for his catalogue of fine remixes since the success of his electronic dance music record label MFS which launched the careers of internationally renowned DJs such as PAUL VAN DYK and COSMIC BABY. He had moved to Berlin in 1978 having become fascinated by the artistic diversity of the city and was Factory Records’ representative in Germany between 1978 to 1982. He also worked with bands such MALARIA! and DIE TOTEN HOSEN while simultaneously being part of cult duo DIE UNBEKANNTEN who later morphed into SHARK VEGAS and toured Europe with NEW ORDER. His passionate attention to detail gained many notable admirers within the music industry. So when Reeder focused on remixing at the start of the new century with his studio partner Micha Adam, he was given the opportunity to work with major artists such as JOHN FOXX, PET SHOP BOYS, DEPECHE MODE and BLANK & JONES. 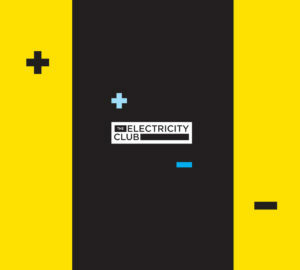 As the man credited for introducing NEW ORDER to electronically propelled dance music, when MARK REEDER spoke to The Electricity Club in 2011, he said: “I’m old school. I like to still be able to hear the song, but give it my own signature and atmosphere, while at the same time use as many of the original elements as possible”. Reeder’s visceral approach provided a developmental enhancement to the music while retaining an all important degree of familiarity and accessibility. A number of these results ended up on his lush surround sound compilation package ‘Five Point One’ in 2011.To follow-up ‘Five Point One’, the revived Factory Benelux label have issued ‘Collaborator’ , a new compendium of remixes and collaborations by the still Berlin-based Reeder. A significant number of tracks feature his long-time friend Bernard Sumner who appears vocally in four guises with the songs reworked in a classic electronic style not really heard since NEW ORDER’s ‘Here To Stay’ in 2002 and ELECTRONIC with Johnny Marr. First, there are Reeder’s versions of BAD LIEUTENANT singles ‘Sink Or Swim’ and ‘Twist of Fate’ which are without doubt, more enjoyable that the guitar driven originals. Meanwhile, the wonderful ‘Miracle Cure’ helmed by dance merchants BLANK & JONES could easily be mistaken for a NEW ORDER dance track in its Reeder interpretation. Best of all though is ‘She Wants’, Sumner’s most recent collaboration with WESTBAM – given an Old School Remix by Reeder, it does what its says on the tin. However, the previously unreleased demo of ‘Crystal’ which Sumner first recorded with Reeder and Corvin Dalek is perhaps less essential but welcome, giving as it does, a very different Deep House view of the song from its ‘Get Ready’ rock out. But how marvellous it is to hear Sumner being given a synth driven backbone again? Now while his guitar has always been an essential ingredient to NEW ORDER, his tracks on ‘Collaborator’ are evidence if any that should the Manchester brand ever record new material again, not only should the direction be electronic but also, MARK REEDER should be behind the mixing desk as well. ‘Collaborator’ also highlights Reeder’s love of female fronted synthpop. Reeder’s So Close Remix of MARSHEAUX’s ‘So Far’ and a smooth Euro styled Sweet & Sticky rework of MARNIE’s ‘Sugarland’ both display an affinity with The Electricity Club’s own tastes. But things are then taken to the next level with his remix of QUEEN OF HEARTS’ ‘Neon’; TEC is pleased to say it assisted in bringing the two parties together and the resultant Electrically Excited Remix is a rich slice of euphoric electro schaffel that has been well worth the creative intervention. The remaining collaborations are an interestingly eclectic bunch it has to be said. How many compilations can claim to bring together post-punk veteran Anne Clark, DURAN DURAN bassist John Taylor AND artist Sam Taylor-Wood? Clark cuts her stern poetry on ‘The Hardest Heart’, a track originally reconfigured for Reeder’s ‘Reordered’ project with BLANK & JONES while Sam Taylor-Wood teams up with old pals PET SHOP BOYS for an extended retro restyling of THE PASSIONS’ I’m In Love With A German Film Star’. John Taylor’s ‘C’est Tout Est Noir’ however is more intriguing being a recent offering with KOISHII & HUSH and the first lead vocal from the David Beckham of New Romantic since his solo single ‘I Do What I Do’ from the ‘9 ½ Weeks’ soundtrack in 1986. Reeder’s Black Night Remix improves on the original, bringing with it a body of stark musicality as well as bringing out the moodier aspects of the song. The conclusion of the album completes the circle of Reeder’s musical journey and goes back to DIE UNBEKANNTEN’s ‘Radio War’ from 1982 and SHARK VEGAS’ 1986 Factory Records release ‘You Hurt Me’. This pair of archive recordings actually shows how Reeder’s own musical journey has to an extent, mirrored that of Sumner’s. ‘Radio War’ is more like JOY DIVISION, all doom laden, bass heavy and claustrophobic while ‘You Hurt Me’ produced by Bernard Sumner is characterised by the sort of New York disco sequence programming that made NEW ORDER famous. Both are interesting curios in the story of how Reeder has arrived here today. In the excellent interview by John Cooper featured within the booklet liner notes, Reeder says: “I always want my remixes to be as recognisable as their original song. This is always my concern when making a remix”. This CD only package (please take note record labels – vinyl is NOT everything!) is a fine catalogue of MARK REEDER’s career to date covering key aspects of classic and contemporary electronic pop. ‘Collaborator’ proves that the modern day club remix doesn’t have to be death by four-to-the-floor and can be a song oriented art form in itself.